This will be a personal account; I can’t speak for other Jews, I’m sure everyone will have their own opinions on this subject. First of all I’d like to say that I consider myself lucky. My experience as a Jew in New Zealand has been overwhelmingly good. Growing up in New Zealand, I experienced very little anti-Semitism. I went to a school that, while Christian, accepted and celebrated differences. While I encountered ignorance, it was very rare to encounter hateful comments. My grandparents had escaped Nazi Germany. The loss and trauma experienced by them and their generation, and many members of our community, is something I feel we, in the next generations, carry with us. Our family tree is missing many branches. The missing generations, the horrors of the past are a constant presence in the back of my mind. Though I have had good experiences, I take nothing for granted. So we go about daily lives, we appreciate our freedom to be Jews, open about our identities, able to educate our children at a Jewish School, who turn up to school proudly wearing a yarmulke, to celebrate our holidays with the wider community. In the past, there were events that caused ripples in the generally calm waters. I come from a line of Jewish women who speak out against anti-Semitism. Certain events in the past stand out; nasty editorials, offensive talk-show hosts, Holocaust deniers, the desecration of Jewish cemeteries. Thankfully, they were very much the exception. Generally, things have been good. But anti-Semitism had not retreated – it had simply mutated in nature. Events in 2014, during and immediately after the Gaza conflict, brought this change into clearer focus. Early in 2014, Hamas began sending rockets over the border from Gaza into Southern Israel. They started slowly and they ramped up. Thousands of rockets landed on civilian areas, while Hamas were simultaneously working on an extensive network of tunnels that, had their plans worked, would have been used to effect terror attacks on Israeli civilians on an unprecedented scale. Then Israel struck back, and ultimately sent troops into Gaza. Inevitably and tragically, much destruction and loss of life followed. For those following the news in NZ, the conflict only started when Israel struck back. Media in New Zealand, I felt, utterly let us down. Reports were sensationalist and entirely lacked context or any sense of cause and effect. War correspondents failed to ask crucial questions of their hosts in Gaza, Hamas, about the storage and placement of rockets, about the use of human shields, about the cause of much of the carnage (it later emerged that 20% of Hamas’s rockets misfired and fell in Gaza). They accepted Hamas’s statistics on the number of casualties and the proportion of combatants. Facts that came out in the months following, which indicted Hamas and often exonerated Israel, were never widely reported. Effectively the media was a complicit part of Hamas’s cynical strategy; which was to inflict maximum harm on both sides, to cast Israel as a “killer regime” (to use our own Rachel Smalley’s expression) for public relations purposes; to boost its flagging popularity. It worked. If the media was complicit in this strategy, so were many New Zealand politicians. Adopting the media/Hamas narrative, a number of MPs singled Israel out for vitriolic condemnation (while they stayed silent about the role of Hamas). Some joined in with a protest on Queen St, where the Israeli flag was burned, anti-Semitic slogans were openly chanted. One man was recorded chanting “cut their f***ing Jewish heads off”. He was unchallenged. That protest felt like a turning point in New Zealand. While we saw protests turn violent in France, with angry mobs attacking synagogues and smashing the windows of Kosher restaurants, Anti-Zionist expression became vogue in New Zealand. Verbal attacks on Israel/Zionism became more and more extreme: the throwing around of words like “genocide” the term “zio-Nazi”, comparisons of Gaza to the Warsaw Ghetto, the Israelis as Nazi stormtroopers, Netanyahu as Hitler. It seemed that on social media it reached a fever pitch. It was painful and chilling to witness and caused me to reevaluate: what is anti-Semitism? We had always made a distinction: anti-Semitism is something different from criticism of Israel/Zionism. You can be anti-Israel and not anti-Semitic. But here we had criticism that was so extreme it blurred the boundaries. To be clear, it was NOT anti-Semitic simply because Israel was being criticised. Some people make the false claim that Jews/Zionists try to censor any criticism of Israel as anti-Semitism. This is not true. I myself heavily criticise some aspects of Israeli policy. To argue that Israel’s actions in Gaza were heavy-handed or disproportionate, while I don’t actually agree with that position, it is a reasonable argument to make and making it does not make someone an anti-Semite. However, comparing Israelis with the Nazis, comparing Gaza with the Warsaw Ghetto, calling Israel’s attempts to defend itself as “genocide”, or ethnic cleansing. characterising Israelis as blood-sucking, baby-killers, accusing Israel (as I have seen reported) of organ-harvesting: these lies evoke the blood libel – the infamous lie, dating back to the Middle Ages, that Jews murdered Christians to obtain blood for ritual purposes, which was used for centuries to justify and incite mob violence and pogroms against Jews. My own great-grandfather in Lithuania was accused of such a libel first in the 1920s and then in the 1930s and had to defend his home and family against a threatening mob. Most of his family, adults and children, were later murdered in the Holocaust. The genocidal allegations against Israel that we hear today are a modern day blood libel. 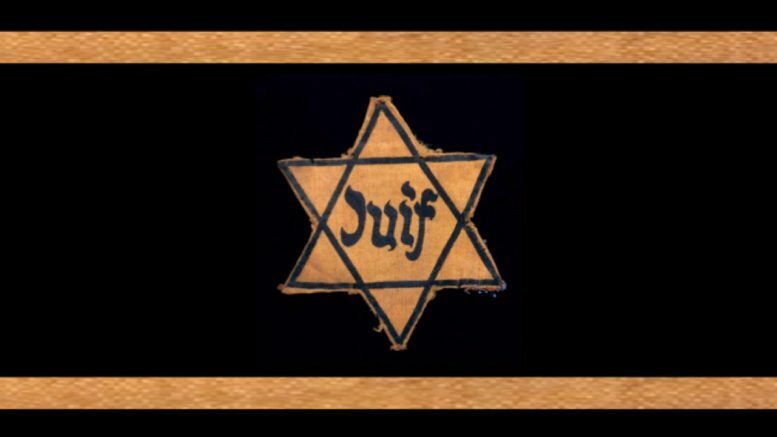 “In the middle ages, Jews were hated because of their religion. In the 19th and 20th century, they were hated because of their race. In the 21st century, they are hated because of their nation state. Anti-Zionism is the new anti-Semitism”. “To maintain that the very existence of Israel is without legitimacy, and to contemplate with equanimity the certain catastrophe of its dismantling…is to embrace- however unintentionally, and withstanding all protestations to the contrary – a kind of anti-Semitism indistinguishable in its compass and its consequences from practically any that has been yet been inflicted on Jews”. So, when we hear protesters on Queen Street chanting; “From the River to the Sea, Palestine will be free”, this chant demands the destruction of Israel. That is anti-Semitism. When Facebook keyboard warriors claim; “The Israelis are just as bad as the Nazis”, that is anti-Semitism. When of all the nations in the world, Israel is singled out for cultural, academic and economic boycotts, when the human rights-denying regimes of Saudi Arabia, North Korea, China are ignored but only Israel is singled out for such treatment, and when such a boycott is passed by the National Union of Students as it was in UK – that is anti-Semitism. When Jewish performers are required to distance themselves from the policies of Israel before being allowed to perform at a music festival: that is anti-Semitism. And we only need to look at Europe to see what happens when virulently anti- Semitic rhetoric, which has become prevalent in some parts of society, turns to violence: four French Jews murdered while going about their shopping before Shabbat; in Toulouse school children and their father and teacher murdered at the school gates; in Copenhagen a Jewish man murdered trying to protect Jews in a synagogue celebrating a Bat Mitzvah. Jews are leaving Europe for Israel in large numbers. Many European cities are once again not safe for Jews. We need to look at what is happening in Europe and not become complacent. I don’t claim to have the answers, but I do think we need to do the following things. We need to be confident enough to name and stand up against anti-Semitism when we see it. Keeping your head down doesn’t work. And secondly, we need to build bridges with other religious communities, to increase understanding and dialogue between them. Solving the Israeli/Palestinian conflict will not end anti-Semitism. But I still hope and pray for leadership on both sides that will have the courage to forge the difficult path to a resolution that will achieve justice for both sides and recognition of both sides’ rights to self-determination. Hine ma tov uma nayim shevet achim gam yachad. – The Author’s name is withheld for privacy reasons.